I need to state that a physical copy of this sat on my bedside table for a few years. The problem is not the book, it is me, with my dual form of dyslexia I really prefer reading eBooks, even for graphic novels. I had picked this book up a few times, but never got very far, and by the time I came back to it I started over again. 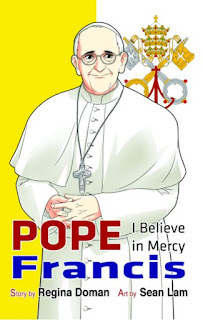 But I recently read the eBook edition of Habemus Papam! 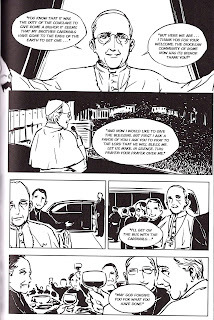 Pope Benedict XVI, written by Doman and illustrated by Lam. And though the style is not my favorite, it is so well done I have give both books a 5 out of 5 star ratings. This was an excellent read! 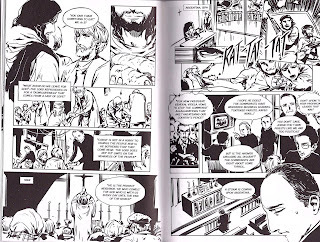 The style of the art in the two volumes is a little different. And because of the lives being portrayed the stories are very different. But both stories are told with jumping back in time and then up to the present. 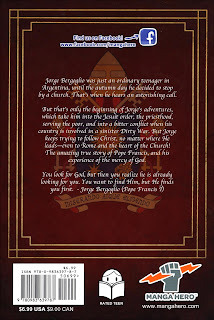 This one is written with underlays of excerpts from Pope Francis's writings. 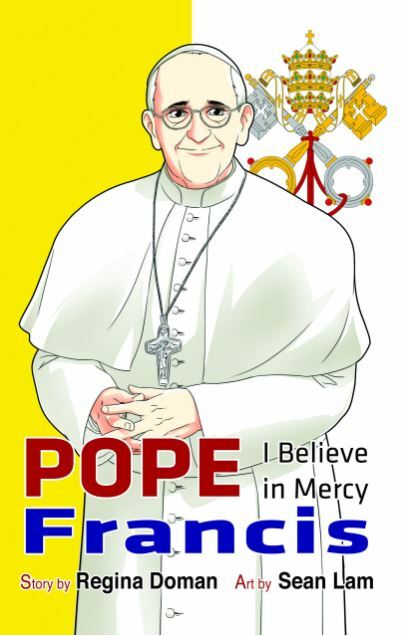 The book gives us great insight into the man and his journey, that ultimately lead to his becoming pope. I have read a number of books about and by Pope Francis since his election, but even with all of that reading there were a few surprises in this volume. Before I even finished this book, my children showed great interest in it. I have now read it with my youngest daughter and am currently reading it for a third time with my son. 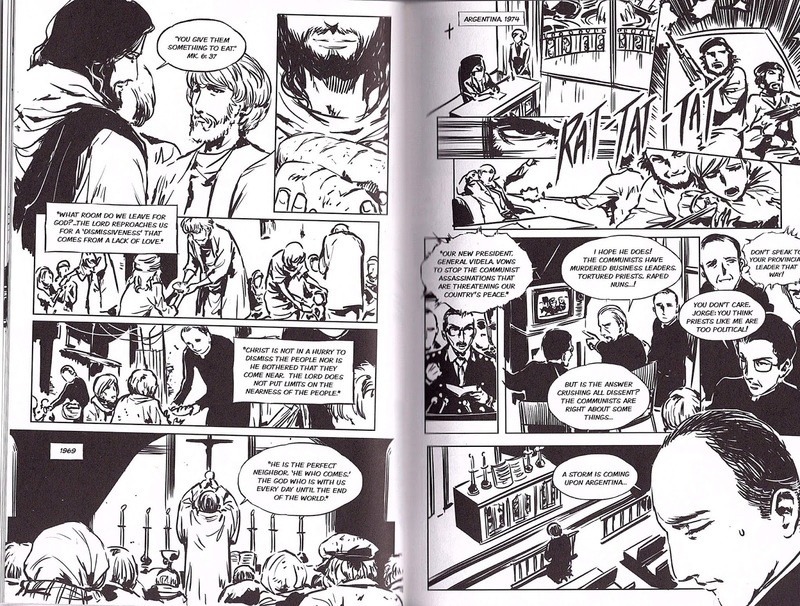 The story and artwork hold up over multiple readings even back to back. 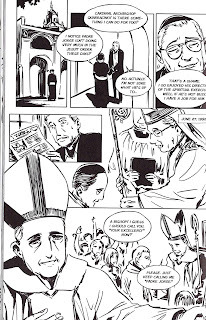 My children love the graphic novel format. My only wish is that it would come out in an eBook, that way they can each have it on their device without having to buy a second copy, currently they are debating who should keep it on their bookshelf and why. The illustrations in this volume are wonderful. I especially loved the illustrations of mass or times in prayer. There is so much to appreciate about the artwork, and the written story. 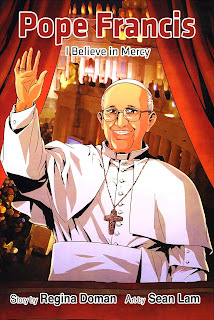 This book provides excellent insight into the man, the priest, and now our Pope. 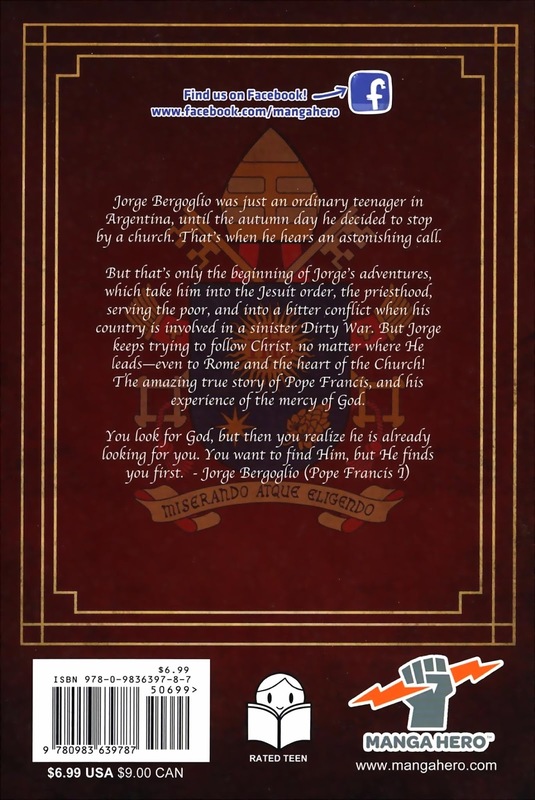 This book is a great read for anyone who would like a glimpse into the life of Pope Francis before he ascended to the throne of Peter. It is an excellent read for teens, and even to read to younger children. It was instantly a family favorite. And we give it the McEvoy family seal of approval. 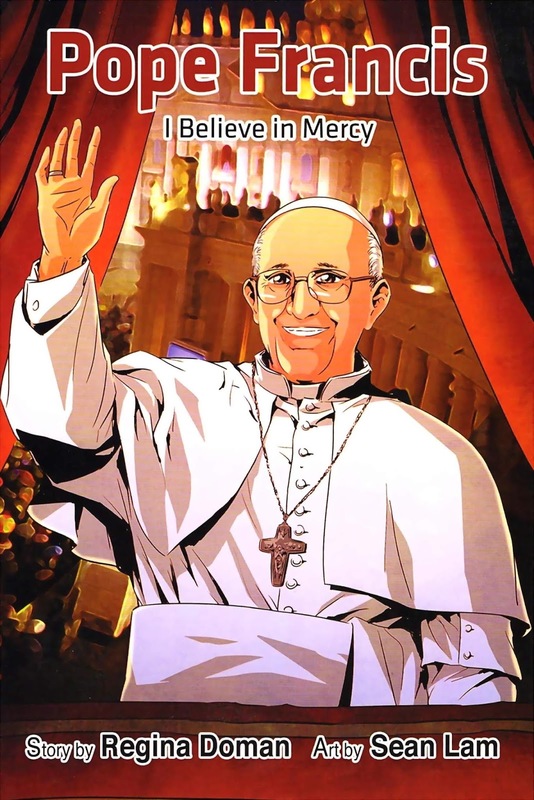 I would love to see what Doman and Lam would do telling the story of other Pope's or saints, because this is an excellent read.